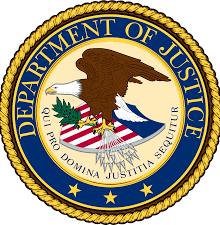 WILMINGTON– The United States Attorney for the Eastern District of North Carolina, Robert J. Higdon, Jr., announces that a Federal grand jury in Wilmington has returned an indictment against Raymond Lee Bryant, Jr., of Roseboro, North Carolina. Bryant is charged with carjacking, carrying and brandishing a firearm during and in relation to the carjacking, possession with intent to distribute marijuana and possession of a firearm in furtherance of a drug trafficking crime. If convicted of these charges, Bryant would face a statutory minimum of fifty-five years imprisonment and a term of supervised release following any term of imprisonment. According to law enforcement, Bryant, is alleged to have committed multiple carjackings on Interstate 95 in Dunn, North Carolina on May 3, 2018. Bryant is alleged to have approached a semi-truck and trailer, forced the driver and passenger out of the truck at gunpoint after firing a round and attempted to drive the truck away. As Bryant was backing up the truck, it jack-knifed and blocked the northbound lanes of Interstate 95. Bryant exited the truck and attempted to carjack another semi-truck and trailer, however the driver of that truck exited the vehicle as he saw Bryant approach, locked the door and ran. Bryant then approached a third truck, brandished a firearm and carjacked that truck. Bryant sped north on Interstate 95 and was later arrested by the North Carolina Highway State Patrol in Nash County. The charge and allegations contained in the Indictment are merely accusations. The defendant is presumed innocent unless and until proven guilty in a court of law. The Bureau of Alcohol, Tobacco, Firearms and Explosives, the North Carolina State Highway Patrol and the Harnett County Sheriff’s Office investigated this case.